:Kyle McClellan has gone into a church "with guns blazing" and he was quickly fired. He has experienced the disappointment of unmet expectations and left because of this. He has pastored a destructive church that chewed him up and spat him out. He has felt the pull of the bigger and better church trying to woo him away. 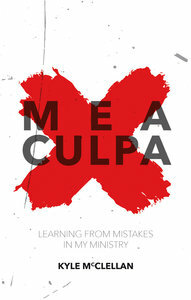 He has faced the burnout and fatigue that many pastors experience that causes them to bail. Read this book. Learn from him. Receive the essential lessons from a wise, broken man who has lived it, possesses the scars from it, owns the T-shirt and yet by the grace of God still stands. Kyle McClellan is the founding pastor of Grace Church (PCA) in his hometown of Fremont, Nebraska. He is an occasional contributor to Practical Shepherding, an organization committed to equipping pastors in practical matters of pastoral ministry.